Mackerel has a distinct flavor profile and a tender texture that melts in your mouth. Brimming with healthy fish oils, mackerel has powerful brain-boosting nutrients that can help with memory and learning. Its potent flavor pairs well with strong sauces and marinades. 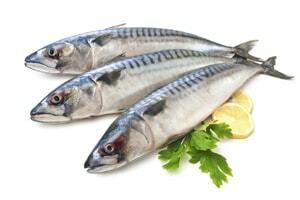 More so than other fish varieties, mackerel should always be served at its freshest.